Steelcraft Bull Bars are skillfully constructed with high quality 3" diameter tubing and are available in black eCoat or T304 polished stainless steel. The integrated skid plate provides additional style and protection for your truck or SUV. Installation is simple and requires no cutting or drilling on most vehicles. 3" Black Powdercoat Bull Bar (70290B) by SteelCraft®. This is a bull bar that offers both real protection and elegance. The removable skid plate prevents damage to sensitive parts of the engine and transmission. The bar provides a convenient pre-drilled mount for auxiliary lights. And the bar adds great aggressive style to your vehicle. Easy bolt-on installation. 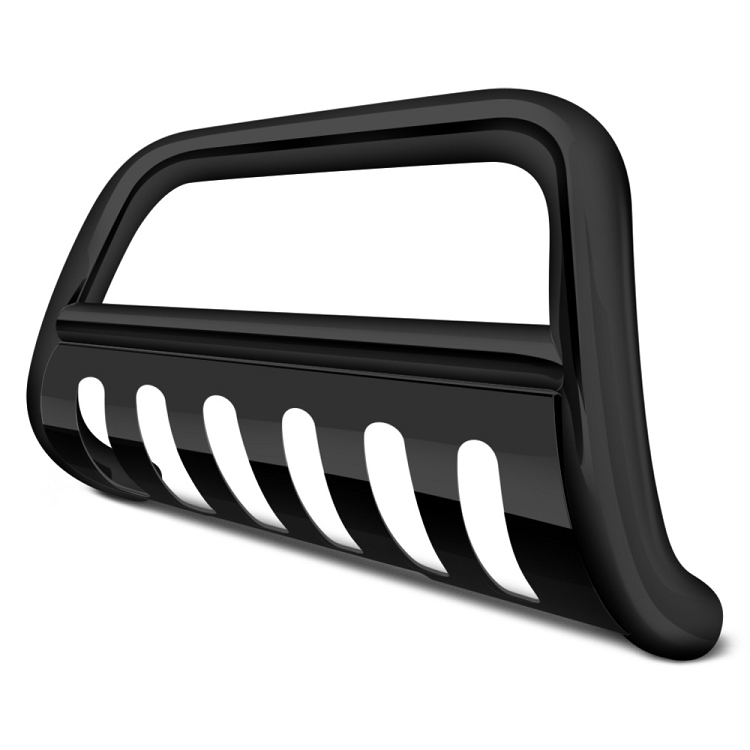 A bull bar with skidplate protects your vehicle from damage to sensitive and expensive parts of your vehicle. If you use the off road capabilities of your ride, stones and stumps can damage the oil pan or, on 4WD vehicles, the transmission, which can have disastrous effects. The bar also provides a good place for your auxiliary lights, with pre-drilled mounting holes. As the bar is of a bolt-on, no-drill design, you can mount the auxiliary lights without drilling holes in the bumper, thus preserving the trade-in value of the vehicle. 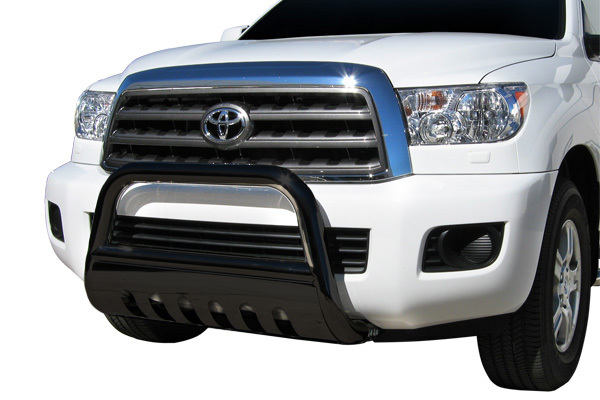 The bull bar also prevents damage to the front end from parking lot accidents, preserving both the good looks and the good value of your vehicle.